Of all niches, the smartphone has likely affected travel the most. From trip planning to finding accommodation, the experience of moving about our world has changed considerably in less than a decade. In this article, we’ll share several apps you need to have on your phone before heading out on your next trip. The average trip has a lot of moving parts – this makes it easy for something to get overlooked. When this happens, your stress level can shoot through the roof, which is the last thing you need whether you are travelling for business or pleasure. TripIt defuses this to a great degree, as it serves as a hub for almost every scrap of information relevant to your journey. By forwarding all confirmation e-mails to the app, it provides a neat road map of when you need to be in specific places. It displays gate information, confirmation numbers, directions to way points, check-in times, and so much more, making it easy to stay on track. Need some inspiration to plan that trip you’ve been meaning to take for some time? Heading somewhere, but have no idea what to see or do? 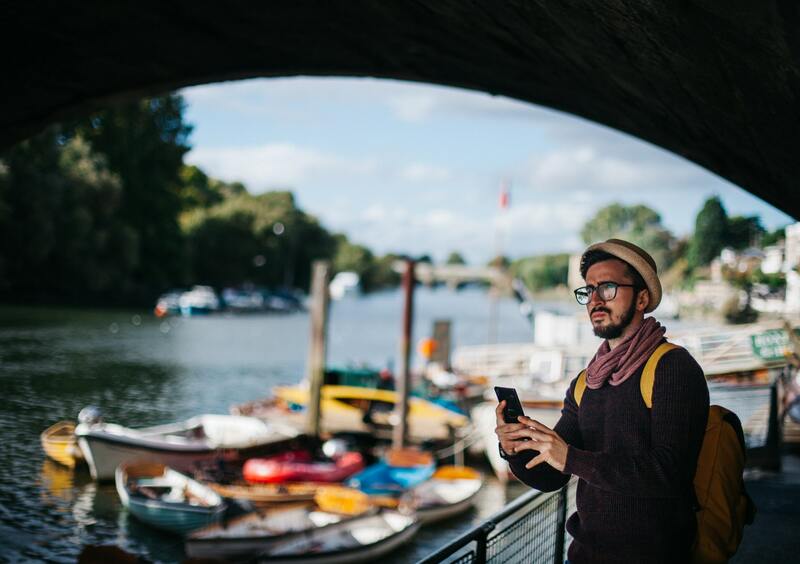 Trover is here to help you out – billed as the Pinterest for travellers, this app is packed to the brim with suggestions by fellow travellers and locals. See a photo of a place that looks compelling? Click on it, and a description will pop up, along with a map link that will let you know where to go to find the sight they have identified. Consider yourself to be an avid road tripper? Now that gas prices are on the rise again, it is important to know where the good deals are so you can avoid getting hosed at the pump. GasBuddy makes this task an easy one, as it allows locals to constantly update the price of gas as they go – this helps to keep travellers from out of town from filling up at a station which prices their fuel in a way that takes advantage of unsuspecting travellers. To incentivize users to keep updating fuel prices, the app owner holds regular raffles for free fuel cards – keep at it, and you may find your travel costs greatly reduced! So, you’ve just arrived in town, only to realize you forgot to book your accommodation beforehand. Or, bad weather has you stranded in an unfamiliar town. Or, you’re a traveller who likes to show up and look for a place just for the thrill of it. No matter which scenario applies to you, Hotel Tonight is an app you’ll want to have on your phone. You see, the value of a vacant hotel room declines as the evening wears on, as it is better to have a warm body in a bed at a sharply reduced price than none at all. This app collects these last minute deals and assembles them in their app, allowing you to find a room at a moment’s notice when you need it the most.